Just near the gompas and mandirs of the pilgrimage site Muktinath-Chumig Gyatsa one can find another two Tibetan Buddhist gompas: Garwa Gompa and the Tharpa Choeling Nunnery. 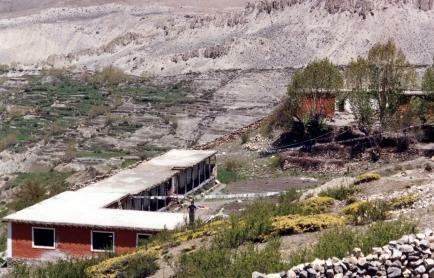 The local name of Garwa Gompa has been changed recently into Chumig Gyatsa Gargon Abbey by Tsoknyi Rinpoche from Kathmandu after he became spiritual and material responsible for the nuns of Garwa Gompa in 1990. The organization sponsoring Chumig Gyatsa Gargon Abbey is Pundarika.